Like the rest of Canada, Vancouver uses the Canadian dollar. The Canadian Dollar is made up of 100 Canadian cents. Coins are in denominations of 5 cents (nickel), 10 cents (dime), 25 cents (quarter), $1 (loonie), and $2 (toonie). Notes are in denominations $5, $10, $20, $50, $100 and $1,000. Canada phased out the use of the 1 cent (penny) coin in 2013. Visitors can exchange currency at Canadian chartered banks, trust companies, credit unions, or at offices of foreign exchange brokers, but it is advised to have local currency on hand prior to arriving. Some hotels, merchants, restaurants and suppliers accept US or other foreign currency at a pre-determined rate, which may differ from the daily rate posted by financial institutions. 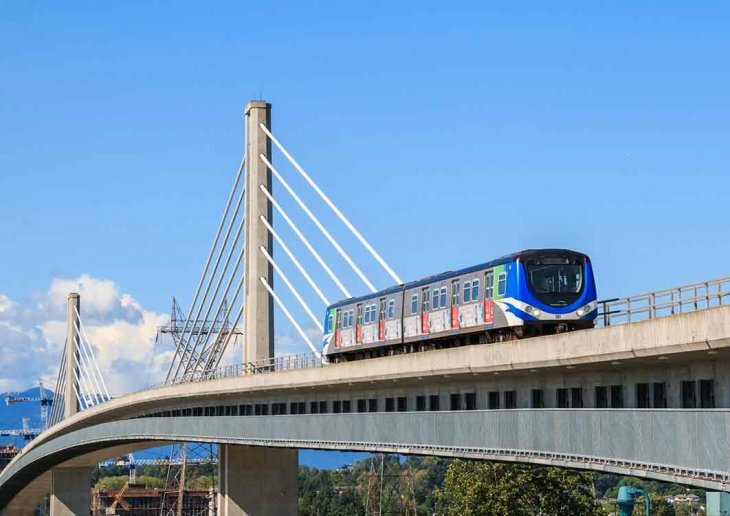 TransLink is Metro Vancouver’s regional transportation authority, and operates a public transit system made up of a network of buses, the SkyTrain, and the SeaBus, as well as the West Coast Express commuter train service. The TransLink website (https://www.translink.ca/) is a great place to find current schedules, fare information, and trip planning tools to help you get around while in Vancouver. You can also call 604.953.3333 for customer service. Taxis are plentiful and can be hailed on the street, including plenty of hybrid and wheelchair accessible vehicles. Zone fares apply from YVR to specified zones. Metered rates apply on return trips to YVR and to areas outside of the zones. Alternatively, you can take the Canada Line of the SkyTrain transit system. The rapid rail transit link whisks visitors from the airport to three stops in downtown Vancouver in less than 25 minutes. 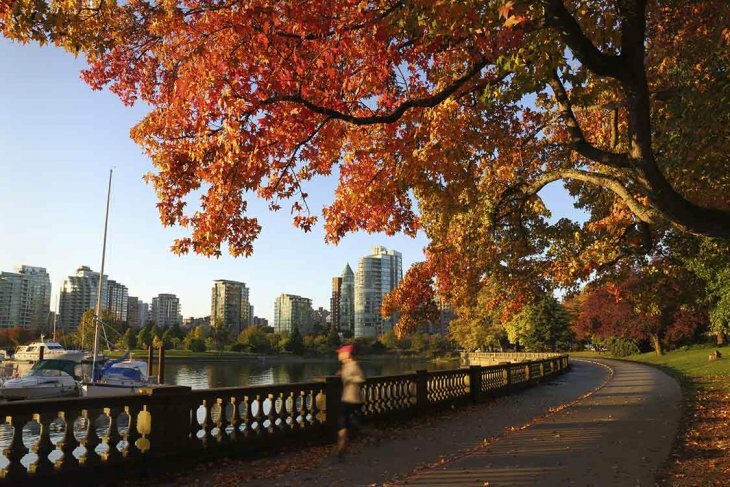 While it’s true that Vancouver’s beauty will have you constantly reaching for your camera, the appeal is more than skin deep – Vancouver’s vibrant personality and relaxed lifestyle are just as enviable. Vancouverites value balance in their life: work and play, culture and adventure, wellness and indulgence – all are celebrated here! 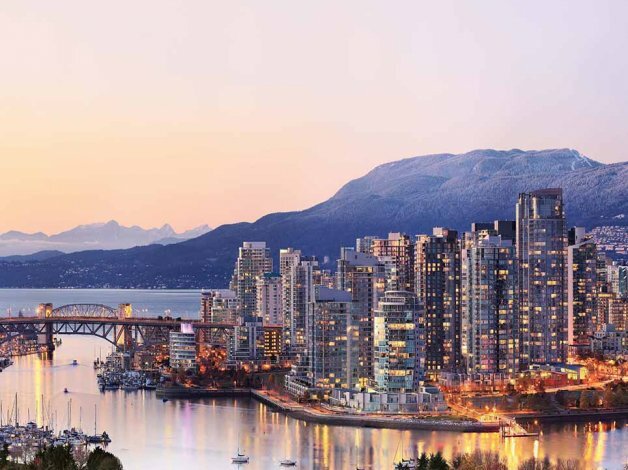 If your visit is paired with a cruise to Alaska or a train to explore the Canadian Rockies, it’s still easy to authentically experience the charm of Vancouver’s lifestyle firsthand in just a couple of days however you will want to stay longer. 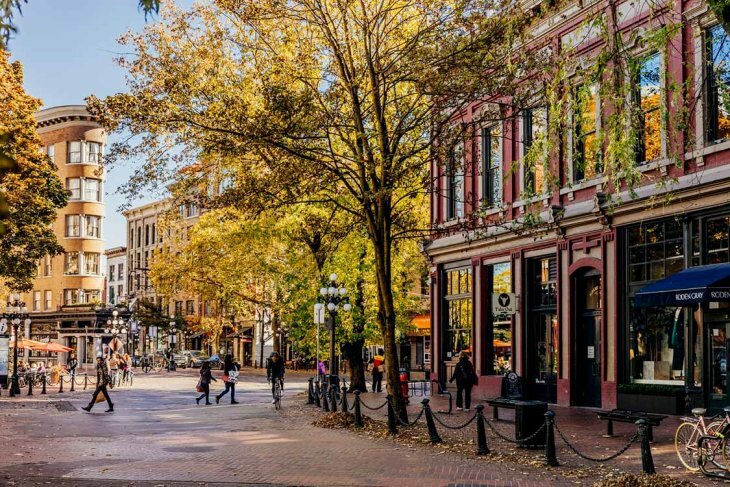 Spend time in the city centre and you’ll be surrounded by laidback locals as you discover colourful, unique downtown neighbourhoods like the beachside West End area, hip Gastown, upscale Yaletown, and historic Chinatown. It’s in these neighbourhoods that you’ll immerse yourself in the cultural side of the city: from dazzling gallery shows, live performances, and endless nightlife options, through to festivals that celebrate art, culture, cuisine, sports and everything in between! Sightseeing options take you from city to nature, and across air, land and sea! 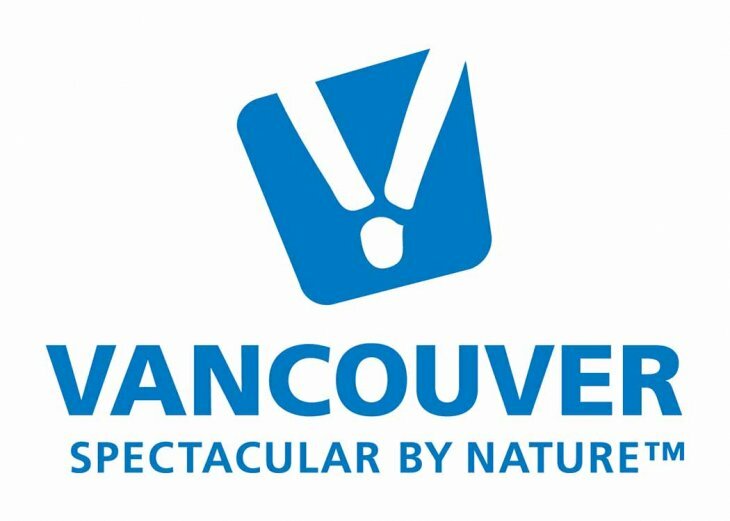 In just one day, you can find yourself cantilevered high above temperate rainforest at Capilano Suspension Bridge Park; taking a breathtaking simulated flight over the country with FlyOver Canada; and topping it all off with Sea Vancouver’s ocean-going adventure, cruising the water surrounding downtown. A great way to visit a large number of Vancouver’s attractions and unique neighbourhoods on your own schedule is to board a hop-on, hop-off sightseeing bus. From artisan markets to international designers, Vancouver has what it takes to please even the most ardent shopper. Downtown’s Robson and Alberni streets offer well-known brands and exclusive international labels, while Gastown is home to some of the city’s hippest new ateliers and galleries. 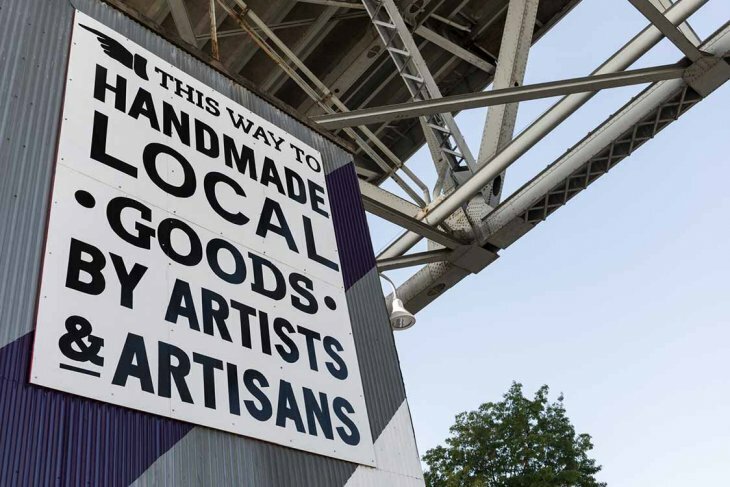 Just over the bridge from downtown, South Granville brings together art and designer fashion. Grab culinary souvenirs among the locals on Granville Island or explore another of Vancouver’s friendly and unique neighbourhoods: Yaletown with its interior décor stores and patio-lined streets, Kitsilano for wholesome yoga-inspired outlets, and Main Street where independent and vintage shops reside. 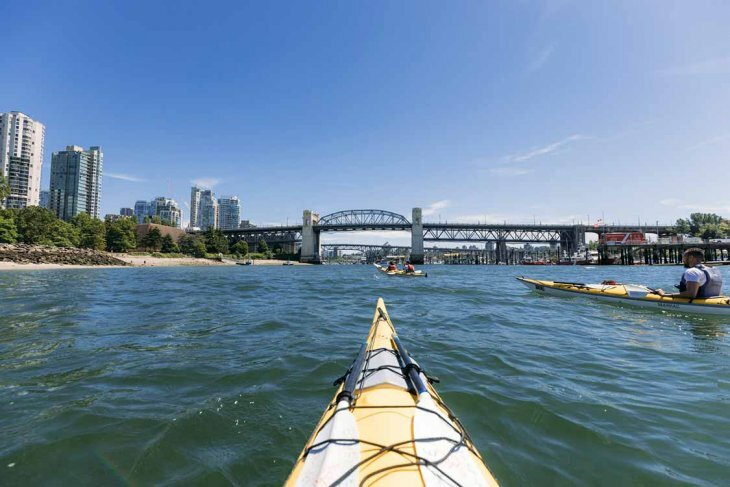 A destination as active as Vancouver gives you plenty of ways to work up an appetite! Vancouver’s lauded chefs use the region’s best seasonal ingredients and combine them with traditional techniques and multicultural influence to create a delicious West Coast fusion cuisine. From tiny local sushi cafés through to high-end restaurants, Vancouver has an astounding range of dining choices for all budgets and tastes. 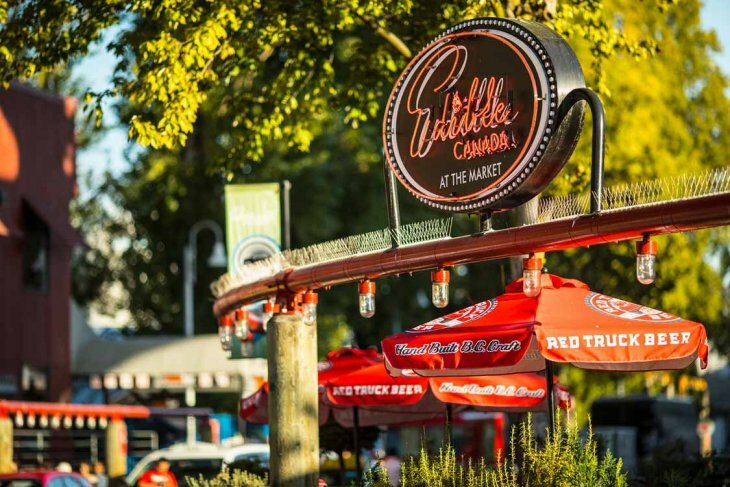 Pair it all with British Columbian wines and local craft beers to get a unique taste of the city. Vancouver is famous for its Ocean Wise seafood, with many of the local restaurants offering dishes beyond the familiarity of the British palette. Highlights range from sablefish (black cod) and spot prawns to Dungeness crab, Qualicum scallops and sea urchins, and even five varieties of wild salmon.Blue Water Cafe and Raw Bar is regularly rated as the best seafood place in the city, with sushi chefs creating a number of eye-catching dishes. The highlight is certainly the two-tier Seafood Tower, offering oysters, clams and mussels, scallop ceviche, seared tuna, and even jellyfish. And there’s plenty to explore even after you’ve put down your fork! Foodies will love a culinary walking tour of Granville Island Public Market to discover home-grown specialties and local flavours. January brings the annual Dine Out Vancouver Festival which combines great value set-priced menus at top restaurants, gourmet tours and classes, and exclusive events, while February sees the Vancouver International Wine Festival – one of the largest and oldest in the world. Further information can be found on the Tourism Vancouver website. 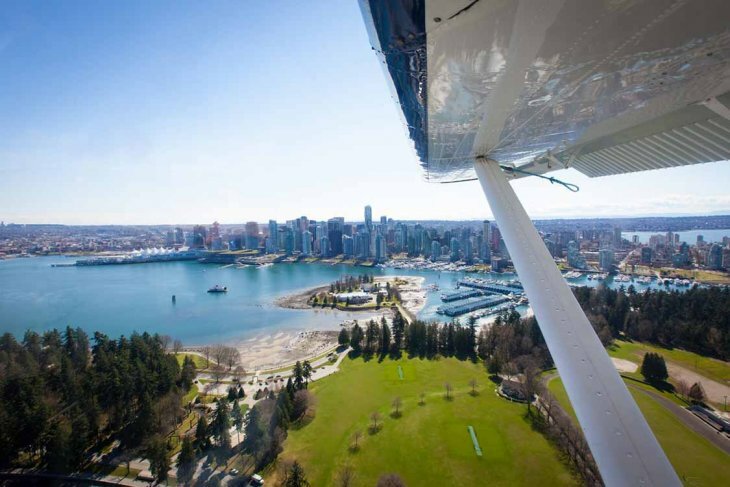 See what you can do in Vancouver in a day!